What modifications can I do to my concrete pool? One of the best features of a concrete pool is how easy it is to customise. If you’re getting bored with your pool or just want to make it more functional, there is a whole range of modifications you can make. Concrete pools offer more design flexibility than any other type of pool on the market. This is because this type of pool is created on site to suit your space and needs. This also makes them easy to modify as concrete can be changed, removed or replaced at any time. Here are just a few modifications you can make to your pool. Our experienced team of master pool builders can easily make your pool deeper. 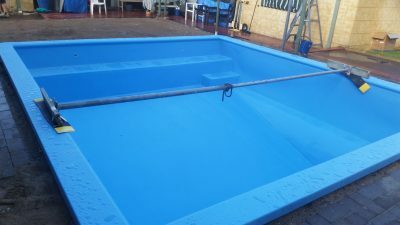 This is a popular choice for families who initially built a shallow pool for the safety of younger children, but now have teenagers who want to jump and dive in. Perhaps, you want to lengthen the pool for lap swimming or change the shape to better suit a redesigned garden. Is your pool to large? We can divide the pool to your desired length and give you back the space that you want (see example below). If you do decide to deepen or widen your pool, why not add some additional features such as a tanning ledge, steps, tables or even a long, submerged bench seat in the deep end. These can easily be added to give your pool a whole new functionality and feel. Do you have an existing spa that never gets used? Would you rather claim the space for your pool? Perhaps a a new spa is all you’ve been dreaming about? Whether you are planning to add or remove a spa, we can make it happen. See below an example of a pool modification in Daglish – a tired concrete shell was presented to the team and they turned it into a masterpiece to be proud of! Concrete to fibreglass conversion – new spa with table constructed – fully functioning waterfall – air bubbles and Venturi jet system included – new return jets and pipework installed – colour of the pool NIGHT BLUE. How do I remove a spa? Our team of design specialists will talk to you about your goals for the existing spa space. 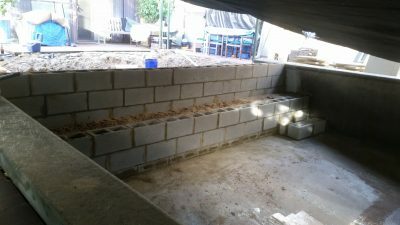 It may be that the spa needs an upgrade to better suit you or to be removed entirely to make room to extend your pool. When you’re ready to start the removal process we’ll remove and replace your spa to your specifications. Plus, with our Clean Site Guarantee, you can rest assured that you‘ll be left with a space you love without any of the mess. What kind of spa can I add? Spillover spas are connected to your existing pool, so the spa and pool water are shared. The benefit of this type of spa is that you only need one pump to run both the spa and your pool! Water maintenance is a breeze when you only have to worry about one body of water. Separate heated spas are also a popular choice for all year round use, which come with their own pump and heater so you are assured a warm spa even in winter. 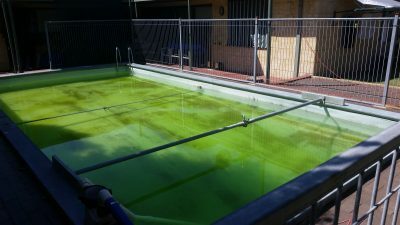 Why choose Perth Fibreglass Pools for pool modifications? 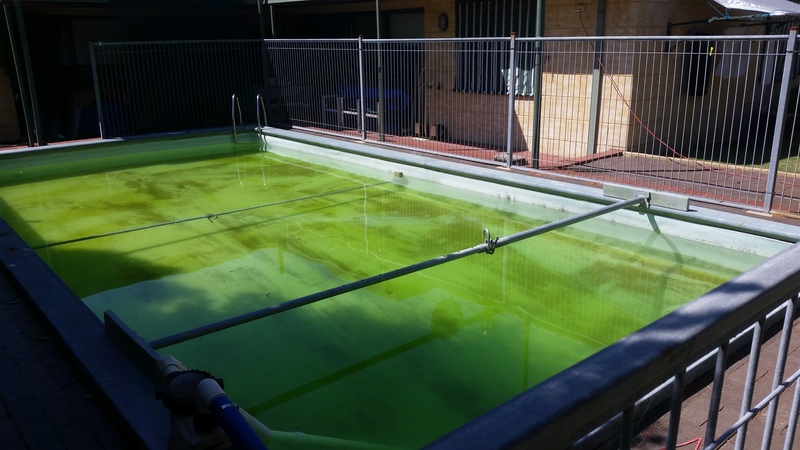 We are your Perth pool modification specialists, with more than 10 years experience. If you have an existing pool or spa that needs attention, we’re available to all of WA, working as owner-operators so you know that the person quoting your job is the same person who will work on your pool modifications. So, if you’re ready to stop dreaming about what your pool could be and want to take action, talk to our pool experts today!